The same is true if you want to become a doctor. Becoming a doctor is hard, right? Sort of. It is arduous and time-consuming, but it is not hard if you have certain academic abilities. You must take a battery of college courses (organic chemistry being the most infamous and rigorous of them) and do well, study for the MCAT (an eight-hour exam), and spend a summer or even a year caddying for a researcher, doctor, or hospital. These are time-consuming hoop-jumping tasks, to be sure, but anyone with a very high level of academic aptitude can complete them. There’s something very alluring about practice tests. They feel productive. They seem like they’re giving you an upper hand on “the real thing”. And there’s always that secret hope that this time you’ll knock it out of the park and you can finally stop studying. Don’t get me wrong; I love practice tests. I love them as a teacher, because they help me assess my students’ progress. And I love them as a student, because I know where I stand. But more and more, I find myself having to caution students about using practice tests effectively. Often times, I see students using practice tests in ways that are completely unproductive. Since your time is precious and you ideally want to get the most improvement possible for whatever time you invest, I’d like to give you my two cents on using practice tests effectively. Take a test before you start studying. This is one practice test that’s completely efficient and insanely valuable, and yet it’s the one students are most likely to skip. Many students skip the practice test at the beginning of a course or before they start studying. Sometimes, they skip it because they are afraid of what the results will be. Other times, they know the result won’t be good enough for their school of choice, so it seems pointless. I also often hear students say that they don’t want to “waste” one of their practice tests until they have started studying. Take tests in a real way. If you have to caveat your test score by saying anything that starts with, “I got XYZ score on my practice test, but…”, you’re not using your practice tests as efficiently as you could be. So let me lay it out as directly as I can. 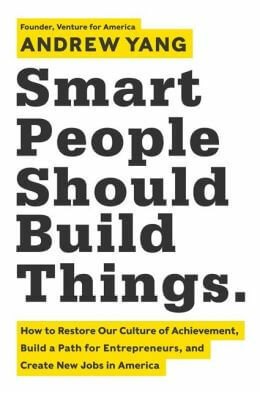 Smart People Should Build Things. Take me, for instance. I wasn’t very enterprising when I graduated from Brown in 1996. I had a general desire to be smart, accomplished, and successful—whatever that meant. So I went to law school and became a corporate attorney in New York. I figured out I was in the wrong place after a number of months working at the law firm. I left in less than a year and cofounded a dot-com company, Stargiving, which helped raise money for celebrity-affiliated nonprofits. It was extraordinarily difficult. My company failed spectacularly, but I recovered. I went to work for a mobile software company, Crisp Wireless, and then a health care software company, MMF Systems, over the next five years, eventually becoming the CEO of a test-prep company, Manhattan GMAT, in 2006. The giveaway begins today and we’re offering 50% off all of our individual GRE, GMAT, and LSAT Strategy Guides. 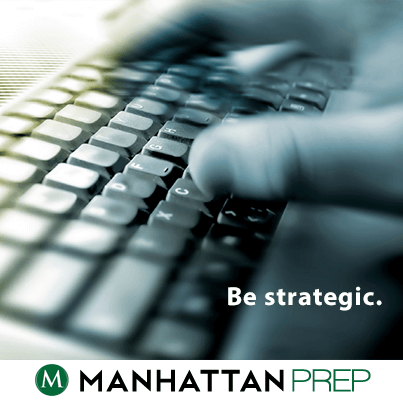 Head on over to any of Manhattan Prep’s Facebook pages to redeem today’s code and to read the terms and conditions.